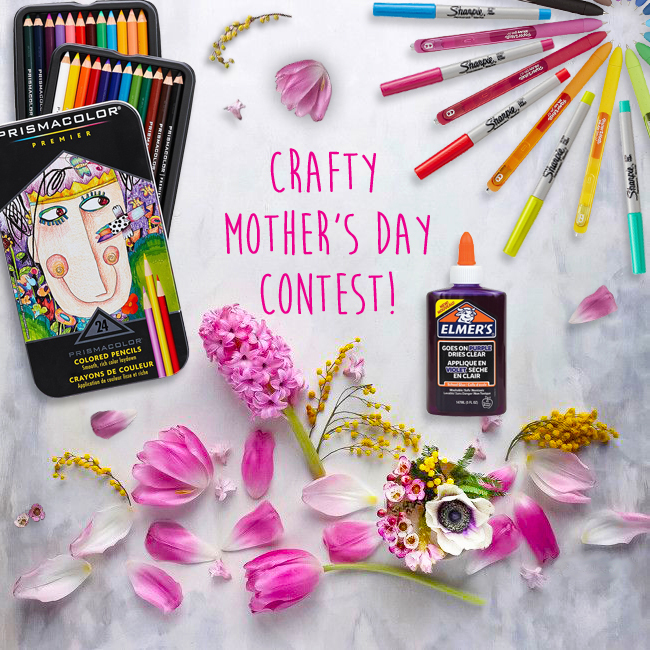 A Special Giveaway For All Those Creative Moms Out There! For the crafty mom, there’s nothing better than getting a basket of her favourite arts and crafts supplies for Mother’s Day! We’ve put together our top picks from Newell Brands to help mom’s creativity come to life, including vivid Paper Mate InkJoy Gel Pens, vibrant Prismacolor Premier Colored Pencils, intensely bright Sharpie Color Burst Permanent Markers, and Elmer’s Disappearing Purple School Glue. Whether mom is drawing on paper, writing colourful notes or taking on DIY projects, we’ve got her covered! CONTEST RULES: No purchase necessary. Contest entry deadline is May 8, 2017, midnight EST. Number of entries limited to one entry per person/email address per hour. Competition open to residents of Canada excluding residents of Quebec. Entrants must be at least 13 years of age (or older if required by the laws of the province or state in which you reside.) Ineligible entrants include all employees of Faze Media Group companies, Newell Brands, their families, agents or anyone professionally associated with the administration of this promotion. Completed entries will be combined with contestants who have fulfilled entry requirements on social media and all will be entered into a random draw for one (1) prize winner. Chances of winning depend upon the total number of entries. Prize winner will be notified within 2 business days of closing date of the contest. Any unclaimed prizes will be forfeited after one month of the closing date. There is no substitution available (sizes are as is) and there is no cash alternative. The prize for the competition has a suggested retail value of over $125. Items may not be exactly as shown or described.